The Court of Appeal upheld the decision of a first instance court. A court in Latvia arrested for special confiscation $ 26 million of the former deputy of the Verkhovna Rada (Party of Regions) Yuriy Ivanyushchenko, Ukraine Deputy Prosecutor-General Yevhen Yenin reported on Facebook on Thursday. "On March 7, the Latvian Court of Appeal upheld the first instance court's decision to confiscate $ 26 million owned by Yuriy Ivanyuschenko, whose lawyers could not prove the legality of the funds. The ruling is final and cannot be appealed," the prosecutor wrote. Yenin said the Ukrainian investigation was in contact with Latvian law enforcers and contributed to the confiscation. "Ivanyuschenko has finally lost the opportunity to return this money. Ukraine has a good chance to see this money as soon as the relevant verdict on Ivanyuschenko comes into force in Ukraine," said Yenin. "Prosecutor General's Office will appreciate everyone who has and is willing to share information about Ivanyushchenko's alleged 5.4bn dollars in foreign jurisdictions that are allegedly lost to our country after the recent abolition of the EU sanctions," he added. 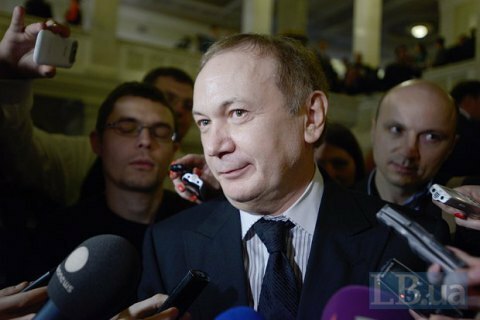 Earlier, the PGO said that all criminal cases against Ivanyushchenko have been merged into one and investigated.